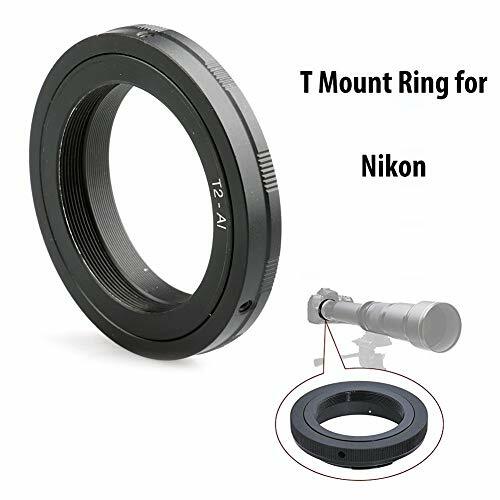 Features: This adapter gives you the ability to use your irreplaceable prime lens and saves you the cost of purchasing new lenses The adapters are precision made to insure the perfect fit. Allows focus infinity. Diaphragm control of the lens is set manually. High quality and compact. Made of brass and aluminum (not plastic). 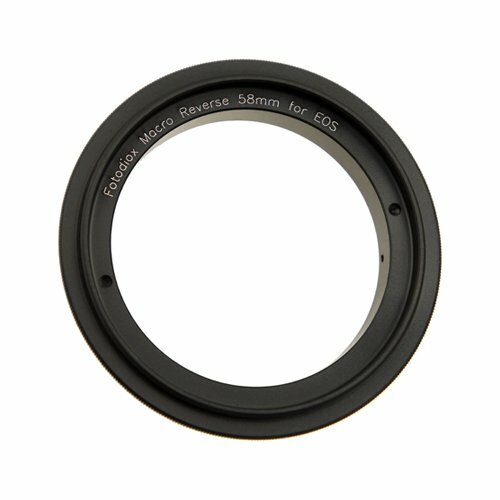 100% Brand New Color: Black Suitable for: NIKON G lens Sony NEX E Mount Camera Package Includes: 1X Nikon(G)-NEX Lens Mount adapter ring NOTE: Although the lens will fit physically, automatic diaphragm, auto-focusing, or any other functions will not operate while using this adapter.There is no electrical contacts in the adapter ring. Full manual operation,manual focus, manual iris adjustment can be achieved with body manual exposure, aperture priority exposure.In this case "stop-down mode" will need to be used when metering since the lens does not have the ability to have its aperture controlled by the camera body.You can shoot in Manual or Aperture Priority Mode. Before use, set your camera Menu: "Shoot without lens". 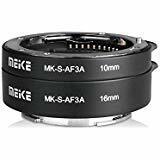 MK-S-AF3-B Budget version extension tube set Professional Extension tube set design for Sony NEX micro DSLR .Support AF Configuration Engineering plastics material + metal bayonet perfect match with Nikon micro DSLR camera and lens. 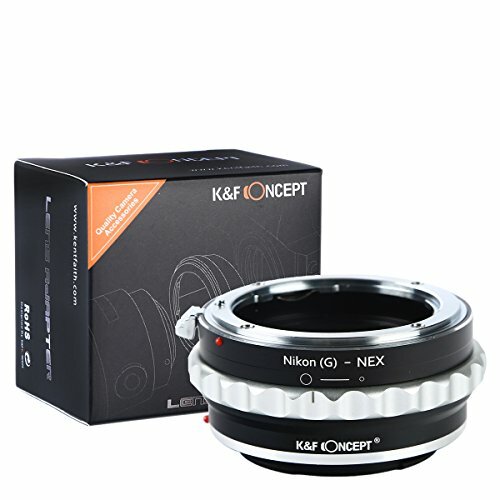 Length 10mm&16mm three kinds of combinations three kinds of magnifications. Why Choose K&F Concept？ professional camera accessory manufacturer. Premium Picked up Product. Shop with Guarantee. Dedicated to provide products in high quality & good price. Made of metal sealing ring, much tighter. Laser fonts, much durable Meet Environmental Standards of RoHS Features: Allows focus infinity. 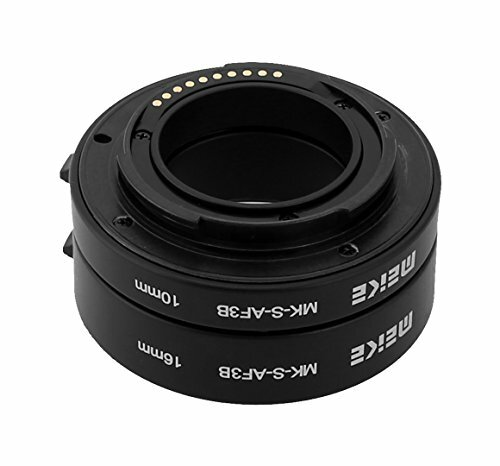 Diaphragm control of the lens is set manually. High quality and compact. Made of brass and aluminum (not plastic). 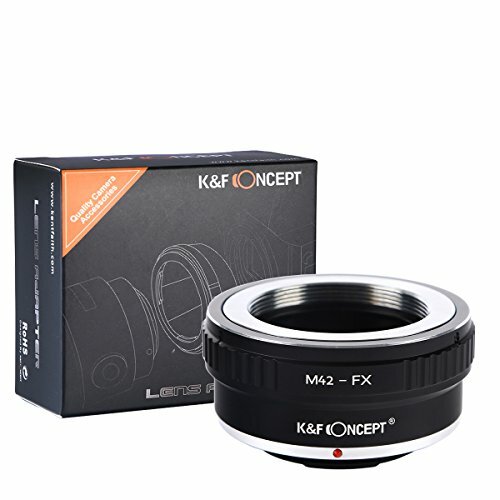 100% Brand New Color: Black Suitable for: M42 Mount Lens Fujifilm X Mount Camera (X-Pro1 ) Note: M42 to fuji x adapter is designed for Fujifilm X-Pro1 interchangeable lens digital camera, not suitable for S2Pro/S3Pro /S5Pro DSLR camera or other X-series prosumer digital camera. 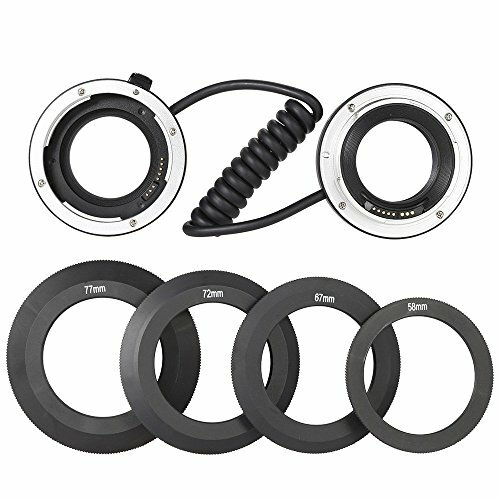 Package Includes: 1X Brand New M42 to Fuji X mount Camera Adapter "Notice If your camera indicated ""lens is not properly installed"", please modify the camera menu settings. 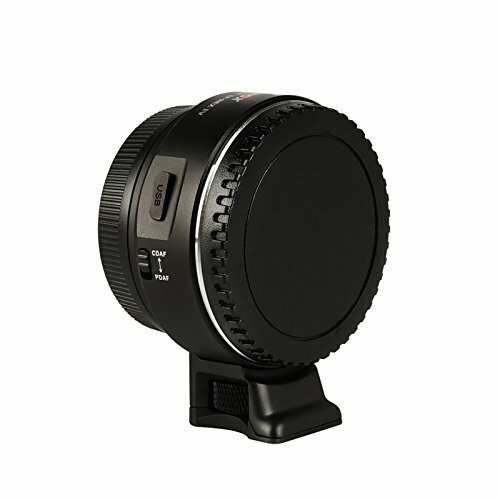 Usually called the ""release the shutter the lens is not installed"", you can modify the settings to allow. 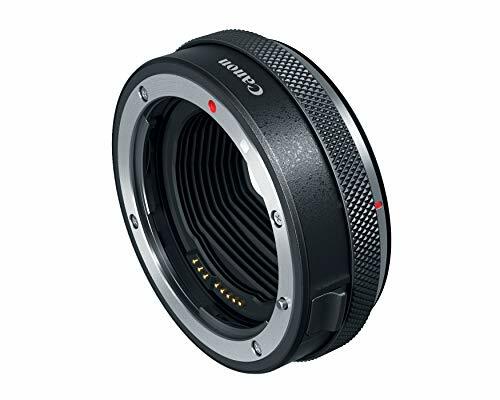 Specifically refer to the camera manual "
VILTROX EF-NEX IV High Speed Auto Focus Lens Mount Adapter Ring for Canon EF/EF-S Lens to Camera Sony A9 A7 A7R A6300 A6500 NEX Series Full-Frame with USB Upgrade Port, CDAF and PDAF Switch Mode.